Weekly Round-Up: Evanna Lynch Interviews the ‘Crimes of Grindelwald’ Cast, Alison Sudol Releases New EP, a ‘Rolling Stone’ Interview for Zoe Kravitz and More! We’re less than a week away from the Paris world premiere of Crimes of Grindelwald, and the cast is on their pre-opening press tour. Earlier in the week they hit the red carpet in Bejing, China, then made a stop at a magical school in Alabama, before heading to Los Angeles where Leaky will have the chance to interview the group. In anticipation of the film, Fantastic Beasts character wands are now available for a limited time at Universal. In other news this week, J.K. Rowling supports a petition to continue government support of UK libraries, Lethal White is nominated for three National Book Awards, and the New York cast of Harry Potter and the Cursed Child is headed to BroadwayCon! This week in our Harry Potter and Fantastic Beasts Actors Round-Up Evanna Lynch interviews the Crimes of Grindelwald cast, Eddie Redmayne eyes a new movie role, Alison Sudol’s EP Moon is released, Zoe Kravitz sits down with Rolling Stone and supports an American Library Association campaign, Emma Watson announces her next Our Shared Shelf books, Clémence Poesy and David Thewlis are cast in new film roles and much more! 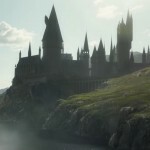 Can you only imagine what that means for us Muggles? Not only has she seen the Fantastic Beasts sequel, but announced as well via Instagram that she would be having a no holds barred interview with the cast and invited her followers to post questions for the actors. There is nothing more gratifying for a Potter fan than seeing great actors take on these roles and treat their characters with the utmost respect and sensitivity. And CAN I JUST SAY Jude Law is the Dumbledore we have been waiting for oh my goodness, his understanding and appreciation of Dumbles’ past struggles and his inner conflict blew my cotton socks off. Lynch also said that it may be awhile before fans will see these interviews, since they are full of spoilers, and maybe included on the film’s DVD, so make sure you pick up a copy when they go on sale next year and stay tuned for Leaky’s exclusive interview with cast from the Crimes of Grindelwald press junket! 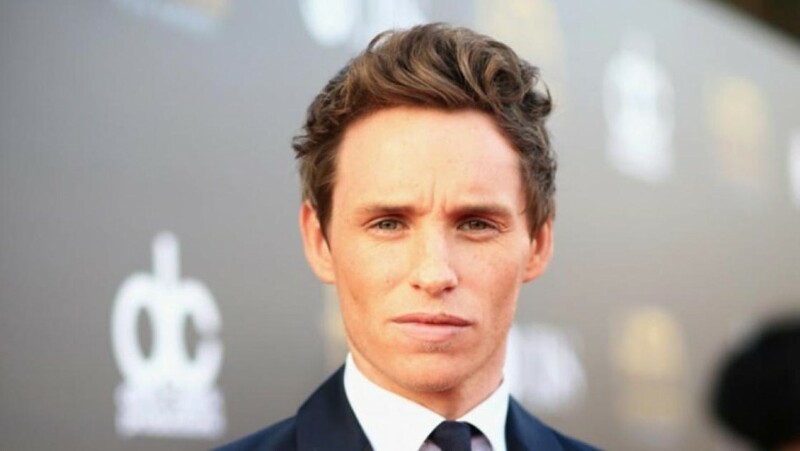 A Possible New Role for Eddie Redmayne Fantastic Beasts star Eddie Redmayne is in negotiations to play the role of political activist Tom Hayden, in the upcoming biopic Trial of the Chicago 7. Hayden was one of the seven individuals charged by the federal government with conspiracy, and other charges related to anti-Vietnam War protests that took place in Chicago, during the 1968 Democratic National Convention. Hayden was the co-founder of Students for a Democratic Society when he attended the University of Michigan in the early 1960’s and author of a political manifesto which supported non-violent civil disobedience and encouraged citizens to make their own decisions regarding the quality and direction of their lives. Trial of the Chicago 7 is being written and directed by Aaron Sorkin. These three works focus on dealing with the anger that stems from violence and inequality imposed on women and how to use it to create change. Sudol said she came forward to not only help herself, but to be a service to others who may be dealing with the same issues. We’re so very happy to hear that things are looking more Luminous for Alison Sudol and we’re excited to see her on the red carpet and on screen in Crimes of Grindelwald! Take a listen below to how beautifully she’s resolved those fears! Her new EP Moon is now available on iTunes, Spotify and Apple Music. 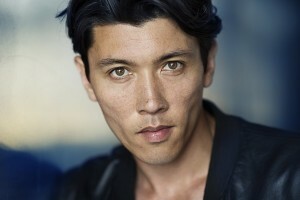 “A Mermaid in Paris” will star Kateb as Gaspard, a man who has gone through breakups and believes he has no more love to give. One day, he crosses paths with an injured mermaid, Lula (Poesy), by the Seine in Paris and takes her home to heal in his bathtub, but learns that any man who falls in love with her dies. Initially immune to her endearing charm, Gaspard slowly falls in love with Lula, who also truly falls for him. Perhaps Poesy really did learn a thing or two from the Merpeople in Goblet of Fire. A Mermaid in Paris begins production in spring 2019. 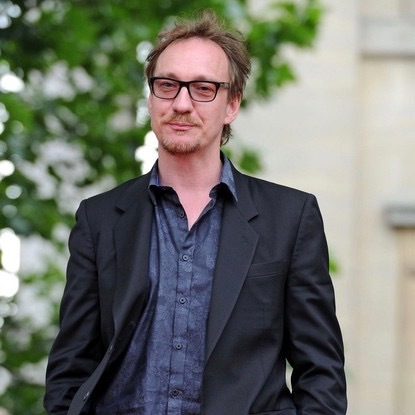 We’re so happy to see David Thewlis having the opportunity to portray a dad! Filming for Guest of Honour begins November 5 in the Toronto area. 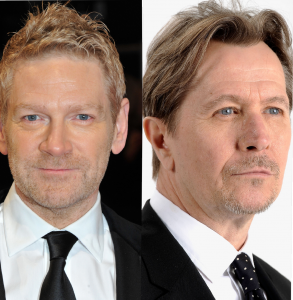 Upcoming films for both Kenneth Branagh, Harry Potter’s Professor Gilderoy Lockhart and Gary Oldman, Sirius Black, have been picked up for worldwide distribution. Branagh stars in the drama All is True about the little known period near the end of Shakespeare’s life. Oscar winner Gary Oldman stars in the psychological thriller Killers Anonymous about a support group of killers and hitmen who believe someone in their group has murdered a senator. All is True will open in New York and Los Angeles on December 21 with a wider release in 2019. Killer’s Anonymous has yet to announce a release date. The story of a metaphysics student who discovers the practice of astral projection and the scientific possibility of a dimension outside our own. Coming to terms with the death of his mother, Alex turns to astral projection in an attempt to reconnect with her. Take a look at the latest trailer for the film below. It definitely doesn’t feel like a stretch for Potter fans to see Tom Riddle dealing with the paranormal! Astral is released in theaters and on demand November 23. Sakurai will play Colonel Saito, a long-serving Japanese Army officer and Aide da Camp to General Yamori. He has seen service in China the Pacific and Southeast Asia. He came to the JPS as part of Yamori’s personal detachment. He is a hardliner and fiercely loyal to his general. When Yamori is arrested by Kido, Saito takes it on himself to surround the Kempeitai headquarters and demand his general’s release. No release date has been announced yet for season 4 of The Man in the High Castle. David Sakurai can be seen next in the Youtube original series Origin with Harry Potter alums Natalia Tena and Tom Felton on November 14 then in Crimes of Grindelwald when it opens in theaters November 16! That’s it for this week for info on the Harry Potter and Fantastic Beasts actors. We’ll be back soon with more news we’re sure, including exclusive coverage of the Crimes of Grindelwald premieres! Theater Round-Up: Production Photos of Evanna Lynch, an Interview With Jenny Jules and New Casting Updates! 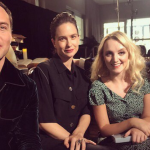 Weekly Round-Up: Ralph Fiennes Discusses Voldemort, Potter Trivia with Tom Felton, Rumors of 'Fantastic Beasts 3' Sighting & More!